Hi everyone! Are you ready for another Throwdown? I've lined up five colors for you today! You can use them all, or just use a few... whatever you'd like to do! 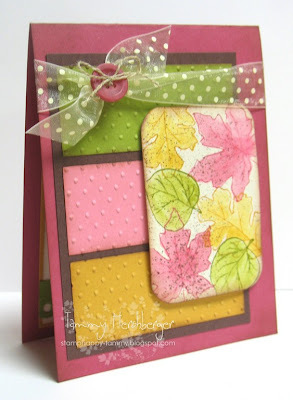 I saw this color combo on the cover of an old Stampin' Success magazine years ago when I was a demo, and always thought it was a pretty mix of colors and perfect for Fall! 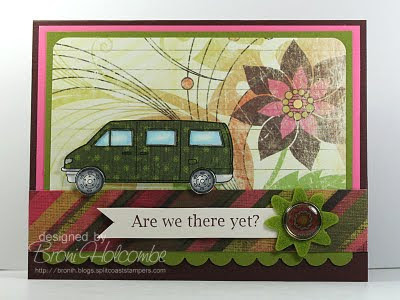 Remember, you don't have to use these exact Stampin' Up colors... just use whatever you have that is similar! Can you handle it? Our challenge sponsor today is Gina K Designs and Stamp TV! StampTV is a website full of broadcast quality technique videos and lots of paper crafting inspiration and education. 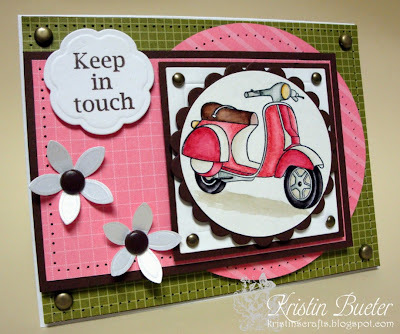 Created by Gina K. of Gina K. Designs, StampTV offers a new StampTV kit every other month and produces 8 episodes dedicated to that kit. 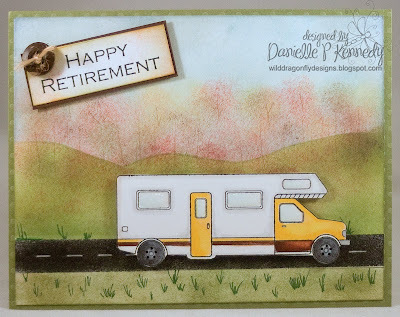 Then, when the kit retires, the stamp sets from the kit are available at GinaK Designs. Visit StampTV and check it out! 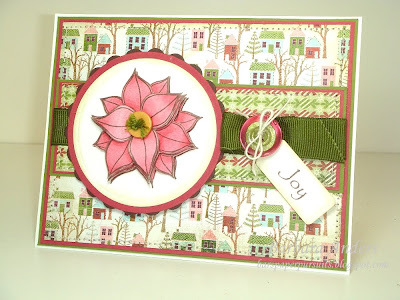 We also have a stamp set, Christmas Blessings by Asela Hopkins, to give away to a runner-up! Post your sample to your blog or an online gallery, then link it back to Mr Linky below---exact link address, please! To be considered for the Featured Stamper spot, be sure to post by 11:59 on Sunday evening, so I have time to make my decision! 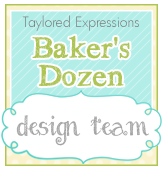 You might even be chosen to be our Guest Designer! So let's see what you've got! And again, thanks for playing the Color Throwdown! Awesome colors today, ladies! Loved the DT samples too! Thanks so much! woo hoo! love seeing all the Gina K Designs designs! :) fabulous work everyone! Wonderful fall colors, Tammy! Awesome samples from the DT! I linked up my card using the colors. What a great color combo! What a pretty color combo with some beautiful samples to inspire us!! Great job everyone!! Thanks for letting me play along.It is a lot of fun. I get to try colors that I wouldn't dream would go together but they do in the most amazing ways. Wow, perfect colors for a fall card!!! Thanks for all of the inspiration! This is a really great color combo. Love the the beautiful DT cards!! Great colors...my first attempt at Mr. Linky went on the wrong challenge...not sure how that happened. ?? Wonderful colors!! This is my first time playing your challenge, I can't believe it, but not my last time . I just posted my card. Hope you like it. I love the colour combo! It was fun to take part again. Hello Color GODDESSES! These are some FANTASTIC colors! I loved that there were five! WAHOO! Thanks for the opportunity to share with such a talented group of crafters and for providing such FANTASTIC samples! Great work! These are such beautiful colors and I had hopes of getting a card finished in time. I am so.... busy this week that I will not get one done. I just wanted you to know that I appreciated the effort! and the colors. Happy stamping. Really great colors to play with. And the samples are wonderful! Thanks for the inspiration! My first time posting for this challenge. Absolutely love the color choice. Awesome sample cards.